I'm a Brisbane interior designer with more than 20 years' experience. 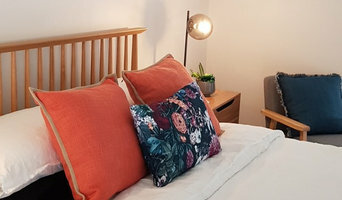 I specialise in furnishing people's homes and apartments, as well as designing spaces for refurbishments and renovations. My services range from a single in-home consultation to give you advice and direction through to complete design plans and projects. I personalise spaces that reflect the way my clients live. I believe that how you feel in a space - not just how it looks and functions - can make a real difference to your quality of life. My personal style is reflected by uncluttered spaces, clean lines and neutral palettes, but with warmth and soul. I like spaces to look and feel understated, comfortable and "lived in". I love incorporating older family pieces within contemporary spaces to provide looks that reflect who my clients are. 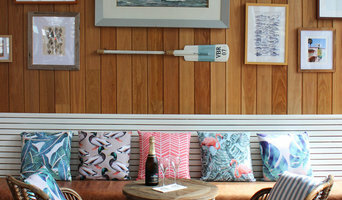 Jumble & Stack is a Brisbane based practice specialising in interior architectural design and decoration in both commercial and residential projects. With over 10 years of design industry experience, the head of Jumble & Stack, Kim Burns, is recognised for her eclecticism and versatility. Her portfolio contains a diverse range of projects including hospitality, residential and leisure both within Australia and internationally. We source furniture and lighting locally and internationally as well as designing bespoke pieces to suit your specific needs. Virginia Bishop Interiors is a boutique interior design, decoration and styling service focusing on sophisticated, contemporary, residential projects with an individual and global aesthetic. We tackle the largest of design renovation projects, through to smaller projects such as individual room decoration and styling for sale. "Our guiding principle is that your home should feel authentic, filled with objects of meaning, curiosities collected from trips abroad, articles handed down through the generations of a family, a special objet d’art or a painting that holds pride of place, pieces that come with a background story. Your home should reflect you and in doing so create a calming and familiar surrounding. It is our goal to not only deliver an interior that feels like home but also delights at every turn." Virginia brings over 25 years of local and international business and creative experience to every project. She recently returned from New York where she attended the famed New York School of Interior Design. 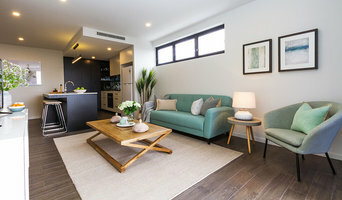 On occasion, interior designers in Fortitude Valley, Queensland will need to subcontract help from other Fortitude Valley, Queensland professionals to help create the perfect look for your home renovation. These may be specialist installers or interior decorators like kitchen designers, architects or landscape contractors. Start by asking yourself what you want your space to become and how it will be used. List your must-haves and decide on your budget. Interior design services can add up fast, so be upfront with potential interior designers from the beginning. Also, pick a designer in Fortitude Valley, Queensland that fits your style. Browse through their interior design portfolio on Houzz and ask yourself if you’d live in any of those houses. If the rooms inspire you, take note of what elements you appreciate. 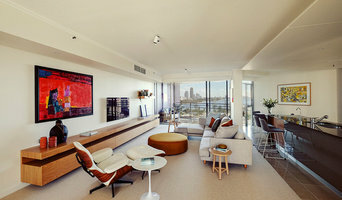 Find residential Fortitude Valley, Queensland interior designers on Houzz. Scroll through this page to find interior designers in your area. Then, browse their design portfolios to see how their work compares to the scope of your project. You can read reviews to see how other homeowners rate their work, and message them directly to to ask any specific questions.